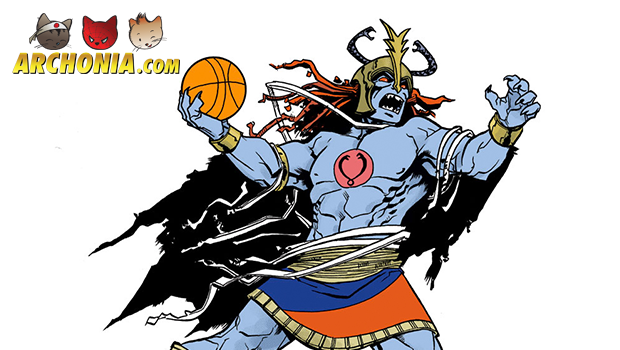 These super-villains got some serious basketball moves! We didn’t know they had it in them, but thanks to Andy McDonald we do! Check out some of your favorite eighties villains slamming down those dunks! We would love to see these guys play an All-Star hoop game against some of their cartoon nemeses. 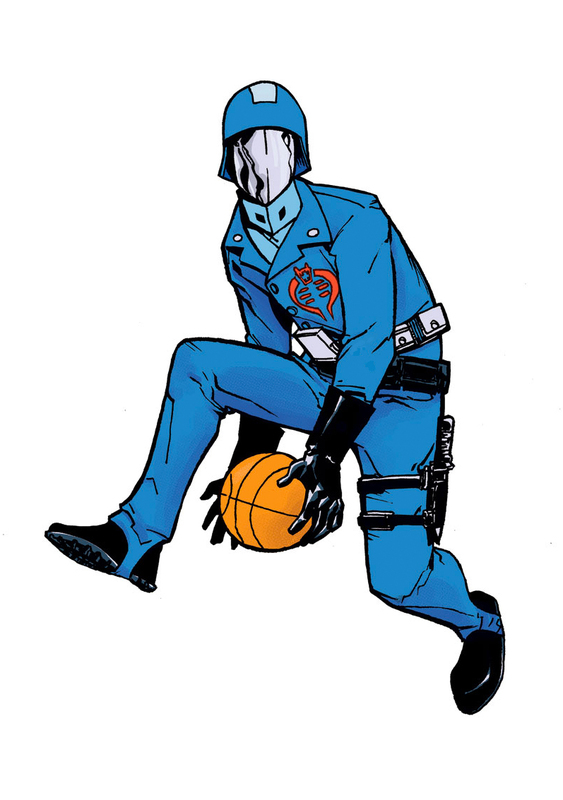 Cobra Commander definitely show casing incredible ball-handling, so he’s the point guard! 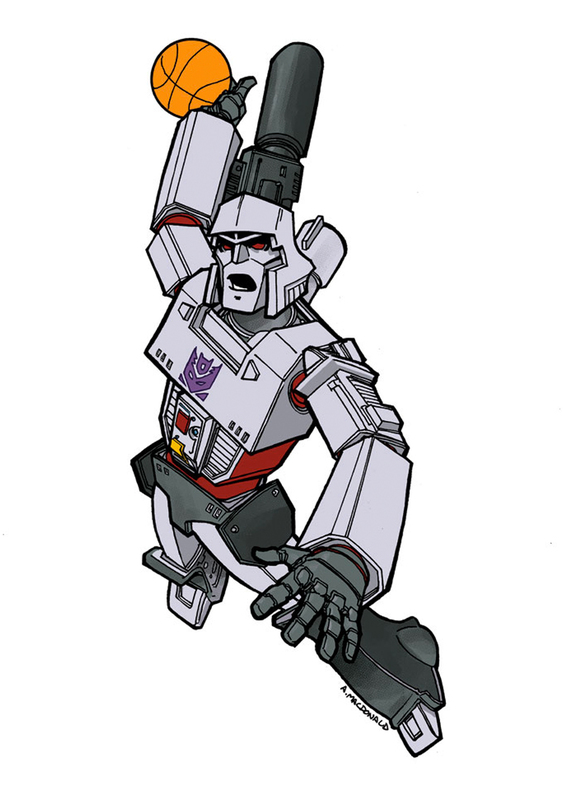 Another no-brainer is Megatron playing the center position as he’s got the weight and height advantage. 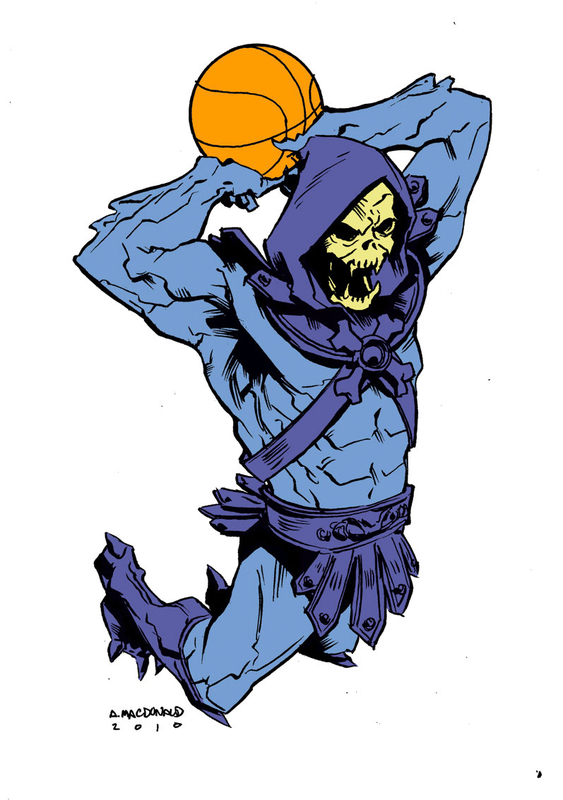 Skeletor can play basketball for sure! Seeing him slam dunk, makes every opponent gulp in fear and anxiety. 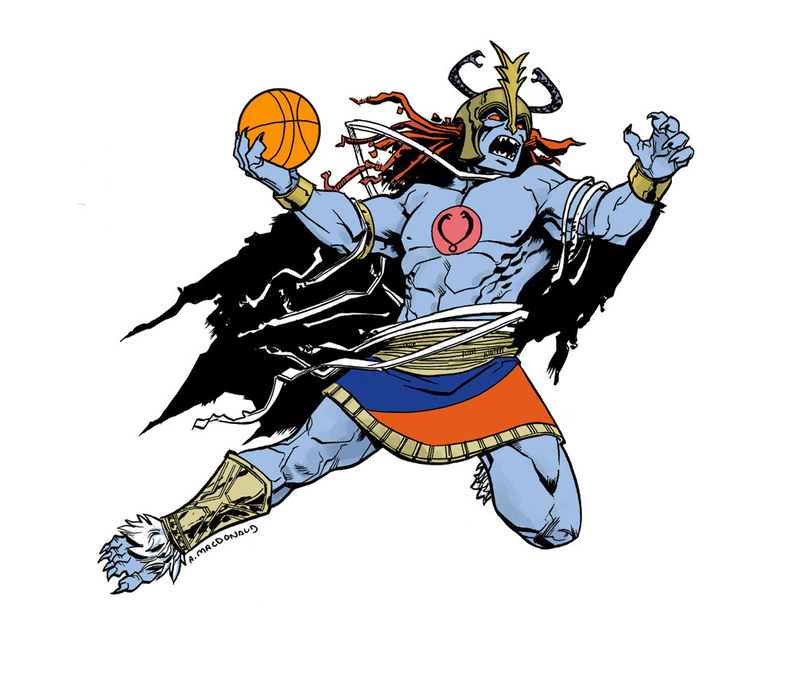 Mumm-ra would make an excellent power forward with his catlike reflexes, picking up all the rebounds! 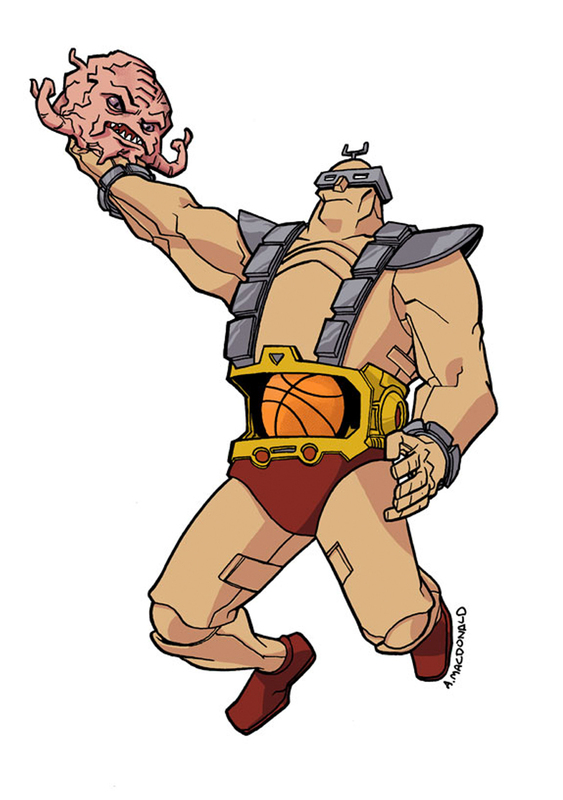 But Krang would possibly be the number 6, if he’d play at all Looks like he’s just a super-villain, but not a super baller. Michael Jordan would destroy his opponents on the court, but these guys destroy you on court and afterwards destroy your planet as well! But as the saying goes: if you can’t beat them, join them! Which super-villain would you like to have in your All-Star ensemble?